Staying connected while on vacation can mean the difference between being stranded in an unfamiliar city and enjoying your much-deserved R&R to the fullest. I rely on mobile Internet for everything from choosing where to eat to finding a route to our hotel. Without it, I’d be completely lost (or resort to carrying around a hefty paperback city guide). 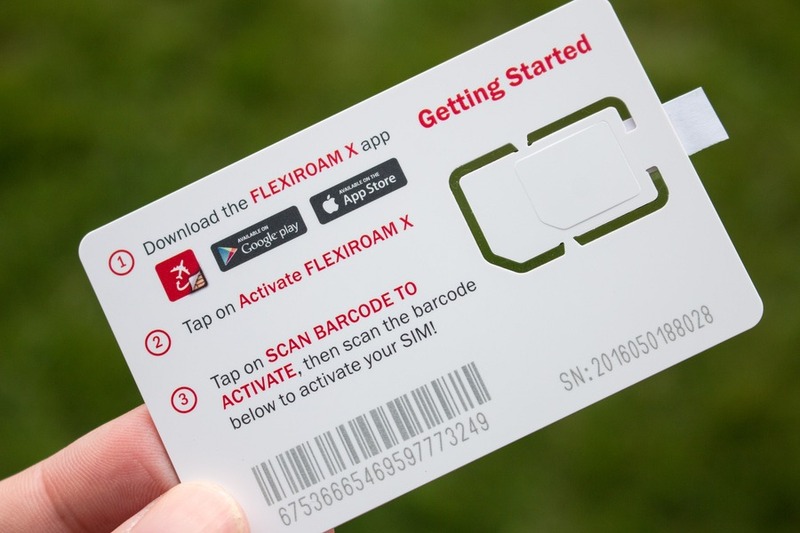 When I heard about Flexiroam’s new approach to travel SIM cards, I was intrigued. Not only is the stick-on “X Microchip” a nifty idea, but the ability to earn up 100GB of data for free is very compelling. Plus it works in over 100 countries. So does this service live up to its promises? I took it for a test drive while we’re in British Columbia, Canada. Exploring Big White in BC – yep, there’s data coverage out here! The best starting point is downloading the free mobile app (for iOS and Android). 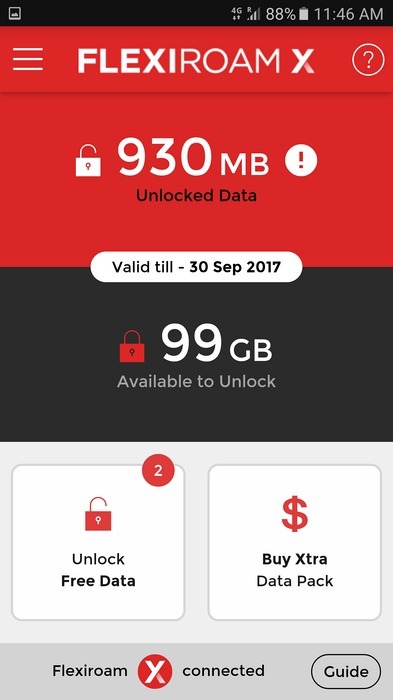 By installing and registering the app, you get a bonus 100MB data. Off to a good start. You can use the app for weeks or even months before your overseas trip in order to build up a stash of data credits. Currently referring a friend gains an extra 100MB. Or if time is of the essence, purchasing data packs via the app is easy. 1GB costs US$29.99 and is valid for 12 months. An active membership is required to put the mobile data to use. When you purchase a 1-year membership, a free starter pack (including X Microchip SIM sticker) is supplied. Delivery rates vary by country and typically take 3-5 days. I was a little apprehensive about my ability to smoosh the super small sticker onto an equally small nano SIM card (courtesy of my big hands). But Flexiroam had a solution – a built-in applicator guide. I just peeled back an adhesive layer, placed my existing SIM card in the marked position, and re-applied the adhesive layer, perfectly positioning the X Microchip. Win! As long as you follow the simple instructions included, you can’t go wrong. Tweaking the phone’s mobile data settings to use the Flexiroam X SIM was painless. These step-by-step tutorial videos cover everything. 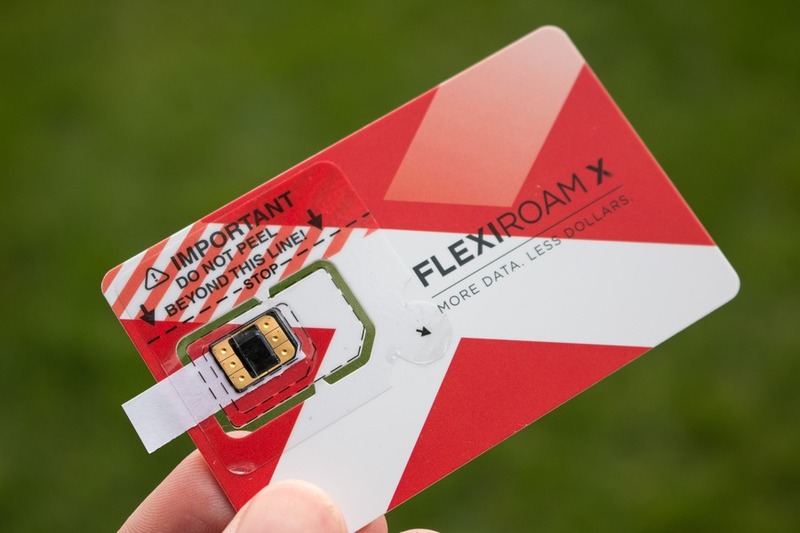 Easily switch between your “home” (regular) SIM and Flexiroam X SIM without physically removing the SIM card. This means you can keep it in your phone all year, whether you’re using it or not. Free SIM tray eject tool – I can never find a paperclip when I need to open the SIM tray on my Samsung S7, so this included little metal tool makes the whole process that little bit easier. Instructions for sticking the X Microchip to your SIM card are very simple to follow, featuring line drawings and plain English. The validity length of 1 year (from the time the SIM card is activated) is a huge benefit. This means even if you travel overseas once or twice per year, you can reuse the same X Microchip and same data credit. Renewing the membership rolls over your accrued data, so nothing goes to waste. Speed is excellent – Flexiroam has teamed up with a number of international telecom providers to deliver 4G speeds in many popular destinations. Some SIM card providers artificially inflate data usage with crazy minimum data session sizes. But Flexiroam has pretty accurate data usage tracking. On one particular day, my Android phone measured 67.06MB and the Flexiroam app showed 70MB used. And did I mention coverage in over 100 countries? There’s not much to complain about. Flexiroam X is a well-thought-out service that represents good value for both business and leisure travellers. The only obvious element missing from the Flexiroam X service is included voice and SMS. However, you can get very competitive voice rates directly from Flexiroam using their other mobile app. For example, call rates to the US & Canada are 1 cent per minute. And you can rent an international phone number from $4 per month. One of the technical limitations of having 2 different SIM cards in your phone (even if Flexiroam’s is just a “sticker”) is that most phones can only use 1 SIM at a time. So you won’t be able to receive incoming SMS and voice calls on your “home” SIM card (phone number) while Flexiroam X is active. You can quickly switch between both SIMs, but just keep in mind if you do that while overseas your home SIM may charge hefty roaming fees. You will need an active SIM card (at home) to register an account as an SMS code is sent during the registration process. But theoretically you could use a friend’s mobile number if your SIM isn’t active. I tripped up during the activation process because I didn’t turn off my phone’s Wi-Fi (which always takes precedence over mobile data). Whoops! If you have an Android phone then watch this video carefully. 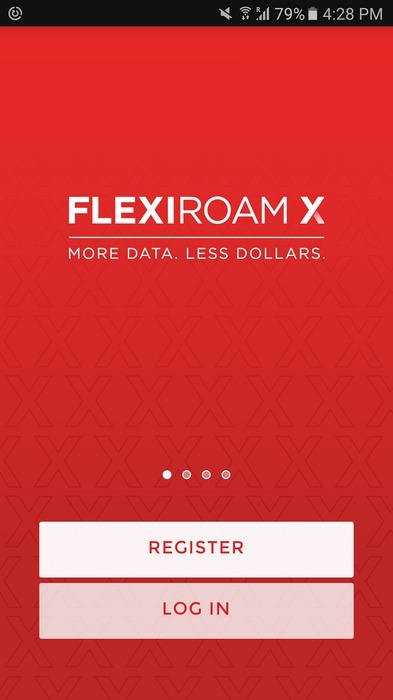 If “Flexiroam connected” doesn’t show at bottom of the app after following all the required steps, try closing the app and re-opening. And if the initial data connection doesn’t seem to work, simply restart the phone (after 1 restart I found everything worked just fine). Even though a voice and SMS service isn’t included with Flexiroam X, it’s easy to use apps like Skype, Facebook Messenger, Facetime, Viber, or Whatsapp as an alternative. Once I got the hang of navigating the Flexiroam X app and activated my account, everything was smooth sailing. Fast data speeds, generous rollover inclusions, plenty of countries covered, and speedy support – what more could you want? Now I just wish everything in the world could be fixed with a sticker. How about if my phone are duol sim? Can I steak my home sim 1 as main telco to receive call and SMS and sim 2 only for data with flexiroam?